The latest Pokémon movie (known as Pokémon: Everyone’s Story in Japan) has received a bunch of new announcements surrounding its western release, with release dates being given for the US, and even a brand new name for the movie itself. The movie will now be called Pokémon: The Power of Us, no doubt referring to the franchise’s second film which featured a tagline saying ‘The Power of One’ and also featured legendary Pokémon Lugia as a central character. The movie debuted in Japan earlier this month, bringing with it a fresh new animation style reminiscent of Studio Ghibli. The movie will be available to view in select theatres in the US on 23rd, 26th, and 28th November, as well as 1st December, with ticket sales expected to be handled by Fathom Events as those dates draw nearer. Other countries are also expected to follow suit with more details still to come. 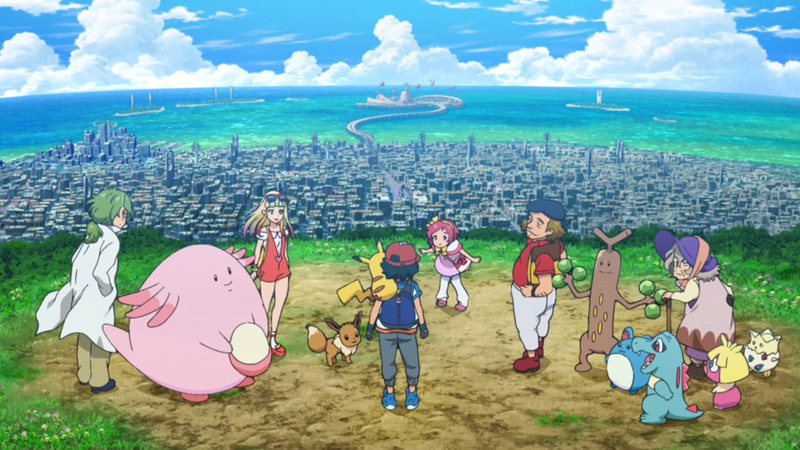 The plot sees Ash and Pikachu attend a wind festival, teaming up with a small bunch of characters to work together and rescue a seaside town from a series of threatening incidents, with all the lovely Pokémon battling goodness you’d expect to see. Are you a fan of the Pokémon anime? Will you try to get tickets for this one? Let us know down below.